If you have any questions about the Alpha 87 Express Sportbridge information page below please contact us. 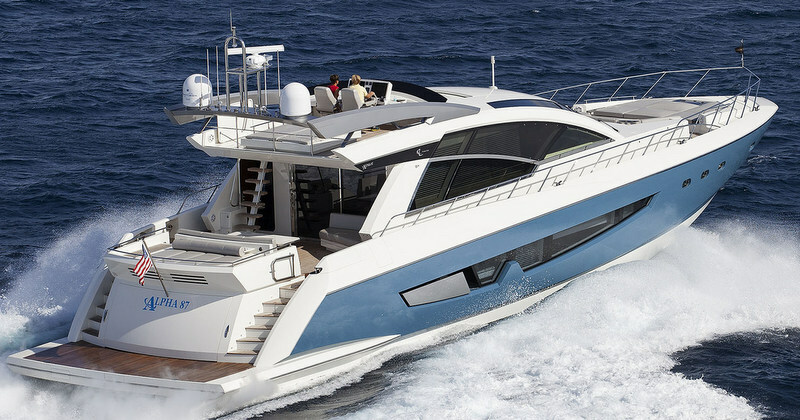 The magnificent 2013 motor yacht Alpha 87 Express Sportbridge is a 27-metre luxurious vessel, constructed by the prominent Chinese builder, Cheoy Lee. 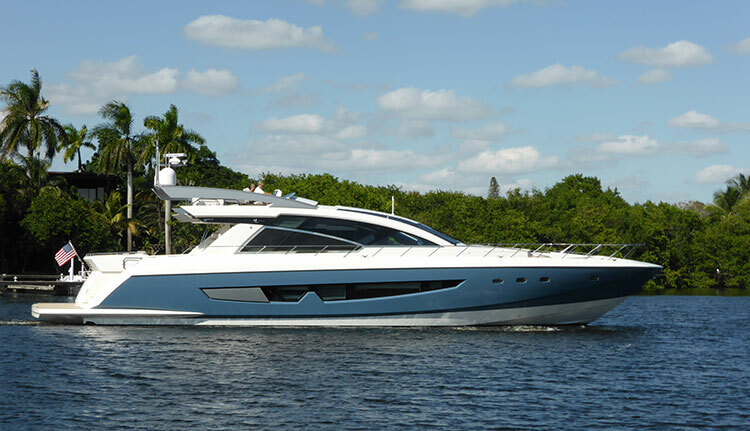 Featuring a blue hull and white superstructure, Alpha 87 yacht's naval architecture is by Michael Peters, while her interior design is by Luiz de Basto. 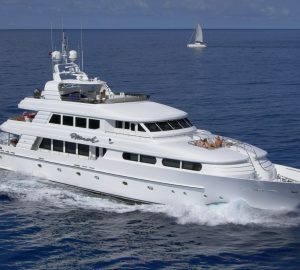 Cheoy Lee superyacht Alpha 87 Express Sport can comfortably sleep up to 8 guests in 4 beautifully appointed staterooms, including a full-beam master suite. 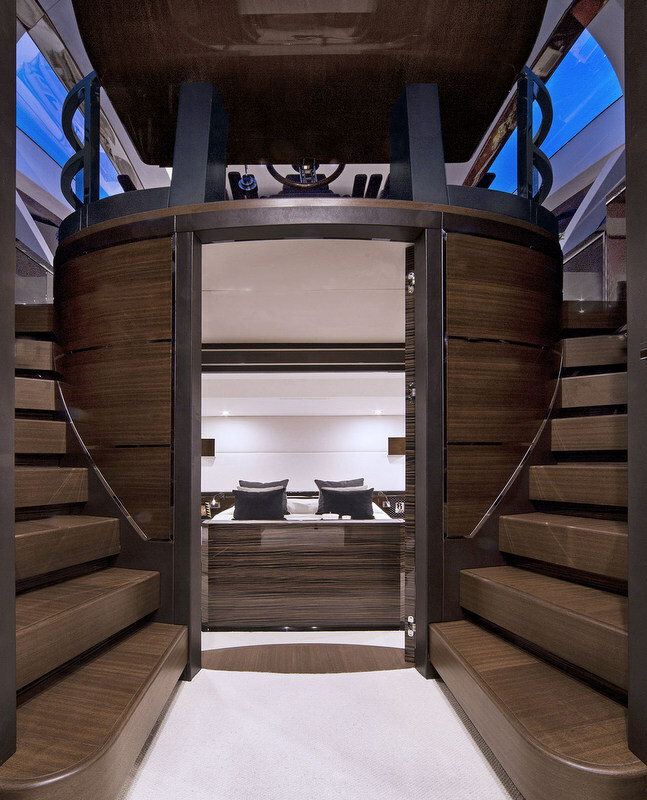 She is also fitted with formal and informal dining, as well as lounge inside and outside. 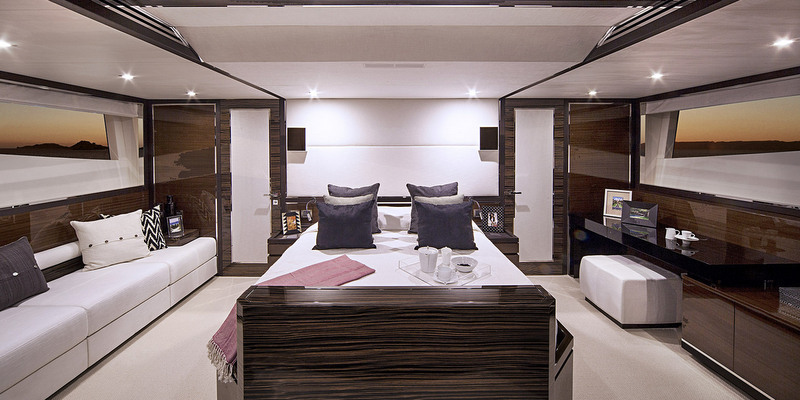 Accommodation aboard luxury yacht Alpha 87 ES is offered to up to 8 guests in 4 well appointed staterooms, comprising a full-beam master suite. 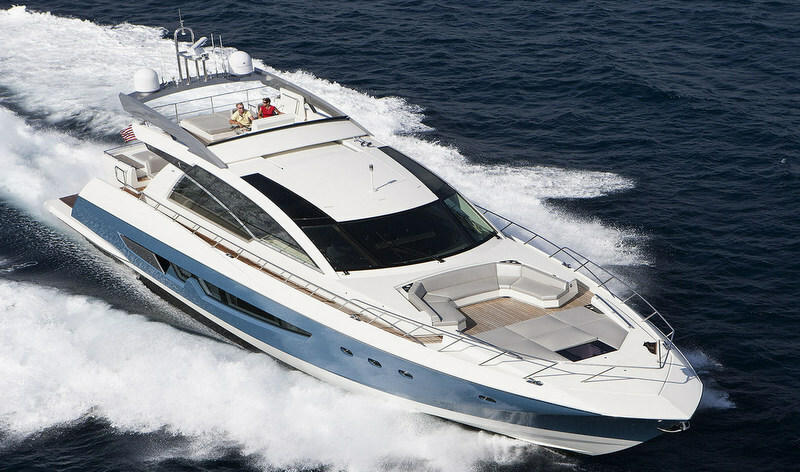 We do have available further amenity, owner and price information for the 26.52m (87') yacht Alpha 87 Express Sportbridge, so please enquire for more information. 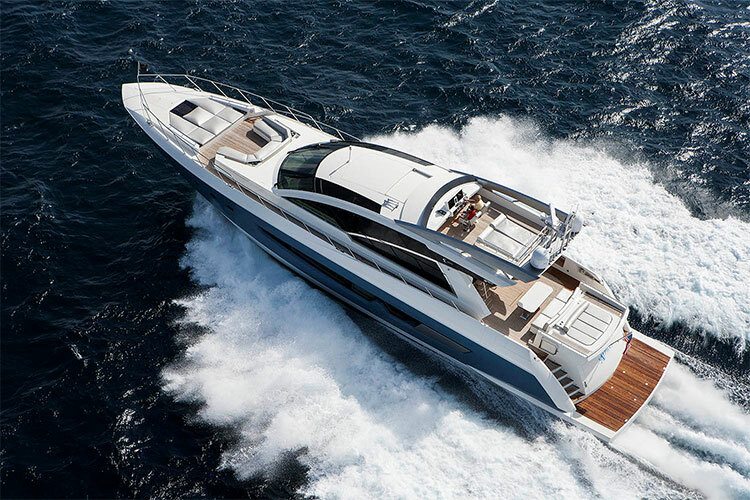 The luxury yacht Alpha 87 Express Sportbridge displayed on this page is merely informational and she is not necessarily available for yacht charter or for sale, nor is she represented or marketed in anyway by CharterWorld. This web page and the superyacht information contained herein is not contractual. All yacht specifications and informations are displayed in good faith but CharterWorld does not warrant or assume any legal liability or responsibility for the current accuracy, completeness, validity, or usefulness of any superyacht information and/or images displayed. All boat information is subject to change without prior notice and may not be current.